Luxury has always been considered the right of the rich and beyond reach for the common man. 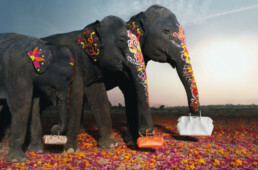 Today, however, the story has changed – Indians are taking a special interest in interacting with the luxury industry. Surprisingly, even young adults with low purchasing power are aspiring to interact with the luxury industry by joining it professionally. Unable to afford the category of products at this early life stage yet being highly engaged with the category to understand its nuances – this is what makes it interesting to look at luxury through a Gen Edge lens. 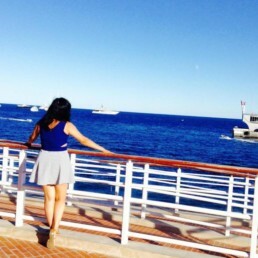 We spoke to Khyati Sindhwani, a student of the International University of Monaco, to delve deeper into the topic. Khyati was fascinated by luxury brands from an early age, but the thought of converting this interest into a career choice developed at a much later time – only after she began to study and evaluate the potential of the Indian luxury market. Having completed her masters in Luxury Management, Khyati has now returned to India to put her knowledge to practical use. Let’s hear what she has to say. THANK YOU FOR TAKING THE TIME TO SPEAK WITH ME! SO TELL ME, HOW DID YOU GET INTRODUCED TO THE LUXURY INDUSTRY AND HOW DID YOU DECIDE YOU WANTED TO GET INTO IT? Truth be told, I was never introduced to the luxury industry per se. I grew up reading about, or just being around products from brands such as Louis Vuitton and Gucci, without even realizing that they were what we call ‘Luxury Brands’. Upon being introduced to this so-called label of ‘Luxury’ was when my intrigue pressed me to study the subject in depth – to understand what it is about a product or brand that qualifies it to be part of this elite club. The deeper I delved into the topic, the more I began to wonder why India has been unable to contribute to this list of highly valued global brands. I mean, they all spoke so highly about craftsmanship and high quality raw materials; and India has always been known to have immense talent in terms of craftsmanship and know-how, and it produces some of the finest raw materials that are in fact used in the production of luxury goods… so what was the problem? The problem, as I then came to realize, was the lack of business acumen, to be able to manage and market brands at a national and international level when compared to European and American brands. And so, I actually decided to pursue luxury management to understand what it is that makes or breaks a brand – to understand the process of creating that unmatched brand equity such that I could come back and adapt that model to help homegrown brands achieve similar heights. WHAT ABOUT LUXURY EXCITES YOU? What excites me most about luxury is its dynamic nature. Simply put, luxury is not just about a product or service, it is about delivering unforgettable experiences. In India for instance, employing house help is a rather common phenomenon, but in Europe, it is a form of supreme luxury. It’s exciting how luxury is so relative in nature. When speaking about the luxury industry in India, it is interesting to notice how individuals respond to this category of products in general. We Indians are not very well informed about the actual industry, its products, or just the justification of the high price that they demand. We look at luxury products as a status symbol – If you see somebody carrying a Prada, they’re rich, and that’s it. Of course, this trend is changing slowly, young people are indeed taking more interest in such brands, and are more aware of their heritage and hence understand that there is more than just the prestige value attached to these products. SINCE YOU’VE BEEN EXPOSED TO THE LUXURY MARKET, I WANT TO UNDERSTAND WHAT YOU THINK “LUXURY” MEANS TO YOU AND THE PEOPLE AROUND YOU? Truth be told, luxury as such cannot be defined, it’s a lifestyle, and means different things to different people. And India in itself is the perfect example for this. Of course Indians view luxury differently than Europeans, but the perception and thereby consumption of luxury goods within India is also greatly varied. One way of understanding this is by looking at the different geographical regions. Let’s start with the north. Punjab is known as the land of free-spirited and open-hearted individuals. It is home to the most liberal spenders within the country, and these spenders buy luxury products, not to fulfil their personal needs, but for the social acceptance and recognition attached to them. Individuals from Gujarat are similar to those from Punjab, but what is interesting to note about them is that they form the majority of the business community, with a large number of them involved in the trade of diamonds. These individuals are thus all about flashy jewelry – a trend that they also carry forward to their clothing! Moving on now, to the state that is home to the financial capital of India, Maharashtra. Luxury consumers in Maharashtra are extremely diverse due to the migratory population. Being in a state with maximum international influence, some individuals like to believe that they are superior and more sophisticated than their northern counterparts and thus seem to be more discrete in their portrayal of wealth. However, a large number of them are still seeking societal acceptance through the possession of luxury products. Down south however, individuals from the states of Karnataka and Tamil Nadu for instance, view and consume luxury in their own specific style. While the north is all about visible logos and social recognition, the south is about discretion and quality living. But of course their obsession with gold is unmatched. HOW DO YOU THINK THE PERCEPTION OF LUXURY AND THE SECTOR ITSELF HAVE CHANGED OVER THE YEARS? Speaking from an Indian perspective, the older generations have been raised with the mindset of saving up for a rainy day – they invest wisely and would much rather buy gold than an expensive bag or pair of shoes. With every generation this mindset is changing, the millennials today are all about experiencing new things and living in the moment, thereby making them more likely to buy luxury products. Having said that, on a global scale, luxury is experiencing a shift from ‘owning’ to ‘being’. Individuals are redirecting their funds from spending on shoes and watches to booking luxury vacations and spas etc. WHO DO YOU THINK IS MOST LIKELY TO BUY LUXURYPRODUCTS OR SERVICES IN INDIA? Celebrities: Bollywood is the second largest entertainment industry in the world, and Indian actors are some of the highest earning professionals within the country. Well-traveled and aware of luxury brands, they are of course frequent consumers of these products/services; not to forget that a lot of them even endorse such brands and so sporting these brands is also part of their job! Businessmen and top executives: Top-level business executives and entrepreneurs are once again a wealthy lot. Having traveled the world, they are used to the finer things in life and thereby opt for luxury brands. What is interesting to note here is that although these individuals themselves would have started consuming these products only after the age of 35, or possibly 40, their children have grown up only knowing the likes of Hermès and Armani, and are thereby more avid shoppers. The Nouveau Riche: When speaking of this category, I’m referring to individuals belonging more to the second and third tier cities of India who have recently come into wealth. These individuals thereby buy luxury products with loud logos, to use as a medium to announce their ‘upmarket’ status. CAN YOU TELL ME SOMETHING FASCINATING YOU‘VE ENCOUNTERED WITH REGARD TO THE LUXURY INDUSTRY OR BRANDS? While I was studying in Monaco, I was working on a project for an international yacht manufacturer. The idea was to study a new, geographic market for the brand and develop a marketing strategy to penetrate the potential market. When briefing us on the project, the representative from the company told us about an Indian client, who came and asked for a yacht without an engine; the man’s motive was clear, the yacht was nothing more than a party venue – an opportunity for him to show off his wealth. I was quite intrigued by this; I didn’t think someone would go that far only to display their wealth.